What is the Donjoy X-Act ROM Knee? the prescription message in the enclosed pamphlet is for the US market only. In the UK this is not a prescription item and is intended to be used out of the box by the customer. 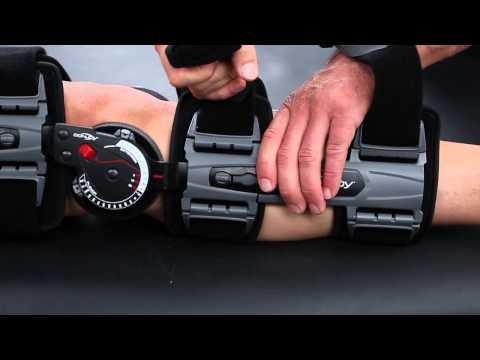 Donjoy X-Act Orthopedic Hinged Knee Brace - Knee Surgery Ligament Support - Post-Surgery Rehab is in stock and available for immediate dispatch from our Warehouse facility in Lancashire, UK. Orders placed by 4pm Monday to Friday (excluding Bank Holidays) are dispatched the same day. If you need your Donjoy X-Act Orthopedic Hinged Knee Brace - Knee Surgery Ligament Support - Post-Surgery Rehab in a hurry, next working day delivery is available for UK mainland addresses.